Part of this is acknowledging that the majority of people don’t even vote in local elections, and far fewer get excited about them. It’s a huge issue that turnout usually sits at well below 40% in local elections, but an issue that is difficult to examine as a political activist. In the run up to polling day I am surrounded by activists who (quite rightly) put a lot of time and effort into campaigning locally, and the dedication of my colleagues and political opponents never fails to impress me. As activists, we have to learn to accept that most voters don’t get quite as excited about it all. We need to view things from a different perspective if we want to see why turnout is so low and what we can do to improve it. Perhaps it’s not all that surprising that local politics isn’t taken seriously by a lot of voters. When national politics hits the headlines every day over huge issues that can decide the direction of the country for years to come, it’s obviously hard to see the importance of local elections, the sort of election people might refer to as ‘pavement politics’ or ‘pothole politics’ or my personal favourite, ‘dogshit politics’. To a lot of voters, elections seemingly fought on road closures and wheelie bin policy just aren’t worth turning out for in comparison to the spectacle that is a general election. As activists, we have to learn to accept that most voters don’t get quite as excited about it all. I also believe that national elections often bring a feeling of great civic duty, that you can help change the future of the country you live in, almost in an odd sense of so-called patriotism. That feeling is lost for much of the electorate when it comes to local politics. I think that a lot of people don’t feel as attached to their local area as they might their country, and so are less willing to go and vote on community matters. This to me is a great shame, as control of a local council can make a big difference to an area. People often say that they feel voting won’t change a result – but local elections are often won and lost by very small margins. I’ve never liked using the phrase ‘if you think you’re too small to make a difference, try spending a night with a mosquito’, but I have to admit it makes some sense when it comes to local elections. Your vote might just get your preferred candidate elected, or at the very least, put some pressure on a councillor to take notice of your views. I think the ultimate problem is that people across the county of Norfolk this May might not realise just what their vote could change. Norfolk County Council is responsible for social care, council tax rates, education and housing to a certain extent, to name just a few policy areas. Local politics isn’t all about pavements and potholes. They are in control of huge amounts of money, deciding which groups, projects and policies get funding and making decisions that will affect the lives of so many people. Do you really want these powers in the hands of people you had no say in choosing? These are the things that matter – and who is in charge of the council matters even more. Voting is vital, especially when such big issues are local council dependent. In terms of solving this lack of passion over local politics, councils really should be communicating more with the public about what local councils do for them, perhaps showing the difference that council projects have made to an area. 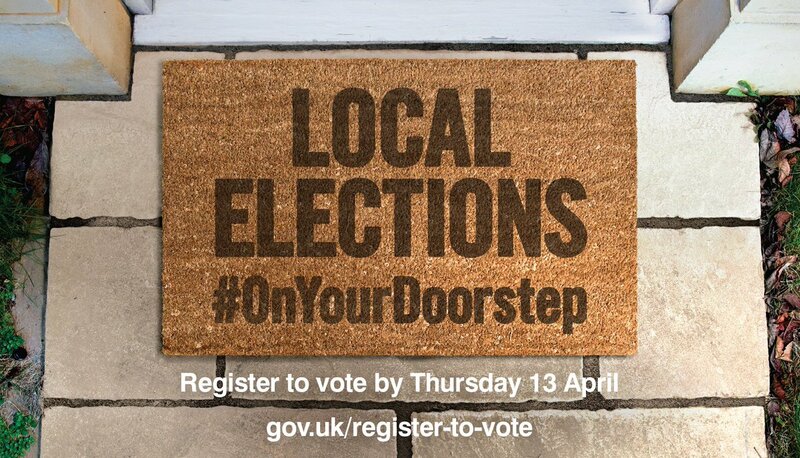 People will vote if they are given a reason to do so – and increased civic education, involvement, and information for citizens may make them understand as voters that they can make a real difference to their area. So with less than a week left to register to vote, and less than a month until polling day, for once in my life as an activist, I’m not saying ‘vote for me’ – I’m simply saying ‘vote’.